You have probably heard the widely recited statistics that women account for only 15% of the technology workforce in the United Kingdom, or that only one out of three women studies a STEM-related subject in university in contrast to the much higher 52% of their male counterparts. But did you know that 32% of women in the United States intend to leave their tech jobs within a year due to "isolation, hostile male-dominated work environments, ineffective executive feedback, and a lack of effective sponsors"? 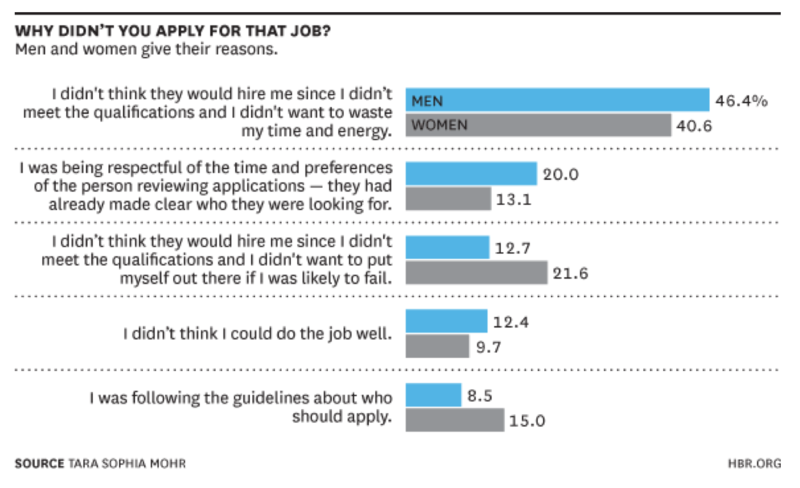 They were following the guidelines about who should and who shouldn't apply (women: 15% vs. men: 8.5%). Think about it — this knowledge is a huge asset and could save you countless hours interviewing the wrong candidates. Therefore, you have to choose your words very carefully when creating a job description. You want your listed qualifications to be specific: absolutely required, or desirable and relevant. It also helps to work with a recruiter who understands that female candidates are often more apprehensive about putting themselves forward for roles, and who encourages them to apply! In my experience, women are more likely to be honest about their perceived weaknesses, while men are more likely to talk endlessly about their achievements, framing themselves more positively than sometimes deserved. Some months ago, I interviewed a man who could not give me any credible answers to questions that probed him for his areas for improvement. However, he spoke convincingly about his strengths, so I overlooked what I would normally consider to be a red flag and hired him. It has taken a significant amount of coaching to get those strengths he spoke about to the level we expect of our employees. Not long after this, I hired a woman in a different role, who rang me up after the job offer to take me through all the reasons she thought she might not be a good fit for the job and to ask me if I thought I had made the wrong decision. She is one of the best hires I have made in the last 5 years! Women also have a tendency to express themselves in less absolute terms than men. For example, a woman who says "I think I would be able to help with some of the issues you are facing with this process" may well be expressing exactly the same sentiment as a man who says "I will definitely get this process back on track for you", just in a less assertive manner. Questions that require men to be more reflective on their weaknesses ("What would you have done differently in your last role if you were to have your time again?") can be just as useful in interviews as those that encourage women to talk about their strengths ("Can you tell me about a change you made where the positive effects were felt beyond your own team?"). Failure to answer either effectively is not a good sign. Just because your female candidate is more open and realistic about her abilities doesn't mean she is less worthy. This is, in fact, a positive for the recruitment process. 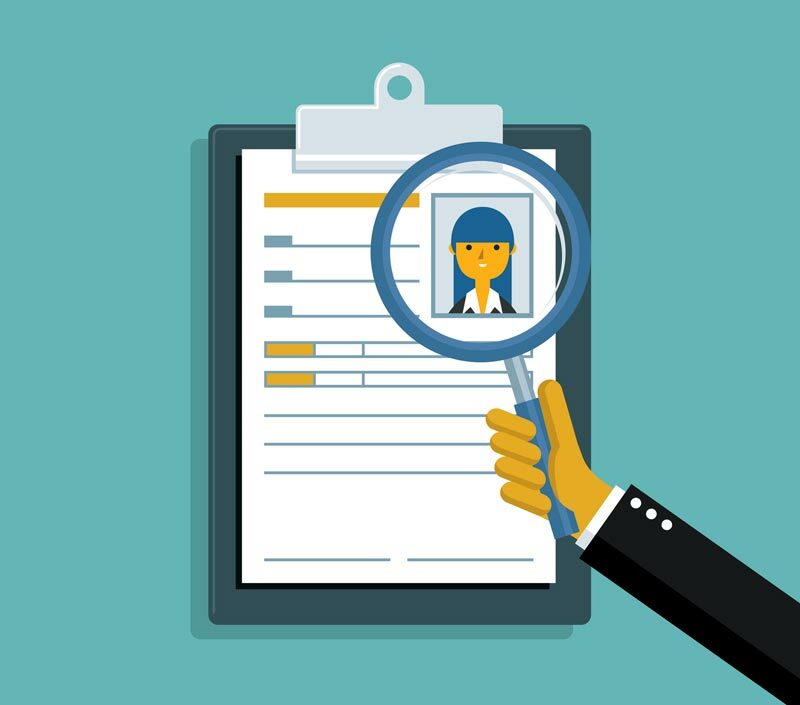 It is better to get a true picture of your candidates in the hiring process than to hire the wrong person and have to deal with a poor performer later on. Probably one of the biggest enemies in the heads of successful women (especially those in a man-dominated field like technology) is a psychological phenomenon called the "Imposter Syndrome". If you haven't heard the name, I am sure you are familiar with the feeling it creates. Someone suffering from Imposter Syndrome, usually a successful person and very often a woman, feels she is a fraud, that she is not good enough to be in her role, and that she will be found out. Women in particular can face ungrounded accusations of preferential treatment, e.g., "you were just hired for the job because you are a woman" or "you were only promoted because the boss likes you." By nature, women judge themselves more harshly on task competence and failure. By internalizing this false criticism, women often convince themselves that, while everyone else succeeded on their own merit, they got here by accident or through a favor. In a corporate culture that eliminates toxic employees and their antiquated stereotypes, encourages each employee's self-assessments and self-awareness, and celebrates small and large contributions, women can turn these feelings into huge assets! Their fear of failure leads them to be more prepared, more structured, and more likely to succeed the first time than men. The strongest person in my team, my deputy, also happens to be a woman. She is highly structured, proactive and diligent. In every meeting I have seen her attend, she is always the most prepared. And despite expressing herself entirely without ego or bravado, she is the one person in the room who is always right. A few years ago, researchers attended 84 one-hour introductory recruitment sessions held by 66 technology companies at an elite West Coast university. They documented a shockingly unwelcoming and stereotypical environment for the women who made up about 25% of the attendees. This included "sexist jokes and imagery, geeky references, a competitive environment, and an absence of women engineers—all of which intimidated or alienated female recruits." When organizing a session for a large number of people, it's only natural for you to hold onto a single image of the typical person in your audience. And if 75% of your audience is male, then that image is likely to be of a man. Don't let that stop you from considering what it feels like to be a woman participating in your session. Pay attention to imagery, language, and references used in your presentations, ensure these are equally inclusive to both genders. Consider who is speaking on which topic. If women are setting up the refreshment table, handing out swag, and speaking only on HR-related issues while their male counterparts are presenting on topics such as product development and the latest technology advances, this will hardly encourage female applicants! Gender-based differences are not black and white — but they are real. Women often behave differently from men during their job search and interview process. Don't let this cause you to miss out on hiring a rockstar team member — whether this person is female or male. Accept that you may require some different approaches and questions for women in the selection process to be able to evaluate them as effectively as men. Avoid gender-biased hiring by considering what it feels like to be a woman throughout your recruitment process from the first touch to the onboarding.